For many decades, Mikura has been synonymous with high quality pearls and fine pearl jewelry. Consumers have come to trust the brand for it's dedication to quality, craftsmanship and the overall customer experience. By building on these strengths Mikura is now expanding it’s product offering to fulfill its aim of being a global leader in the luxury jewelry industry. Similar to our fine pearl collection, our new ’Diamonds by Mikura’ collection offers discerning consumers looking for high quality diamond jewelry a long list of benefits and features. 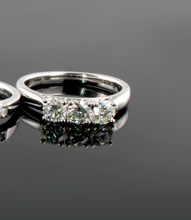 • Mikura diamonds are precisely manufactured to higher standards and exacting proportions. 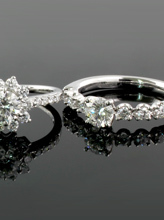 Come and explore Diamonds by Mikura at your nearest boutique or browse the collection online. 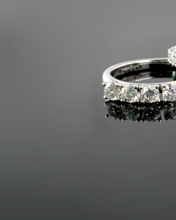 *Only for solitaires diamonds 0.40ct and up. 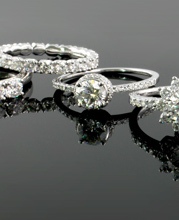 Have further questions on Diamonds by Mikura? Write to us.